As a new patient, you probably have many questions about your first visit, our office and chiropractic care in general. 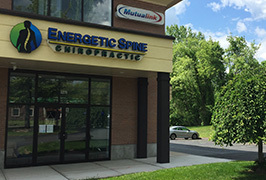 We would be happy to answer all of your questions if you prefer to contact us, but we have also created this page as a valuable resource for all of our new patients. Here, you will find information about what to expect from your first visit and payment options. We also know how valuable your time is, so in order to save time on the day of your appointment, we have made our new patient forms available for you. Chiropractic visits are a bit different than your typical doctor’s appointment, and when you don’t know what to expect, your first one can be a little scary. That is why we have come up with this guide on what to expect from your first visit. We work hard to keep our prices competitive so that everyone can get the chiropractic care they need. That is why we accept many different kinds of payment options. We also offer financing options for patients who need them. Contact us to learn more! All of our new patient forms are located here. For faster service, please print and fill out these forms prior to your appointment.